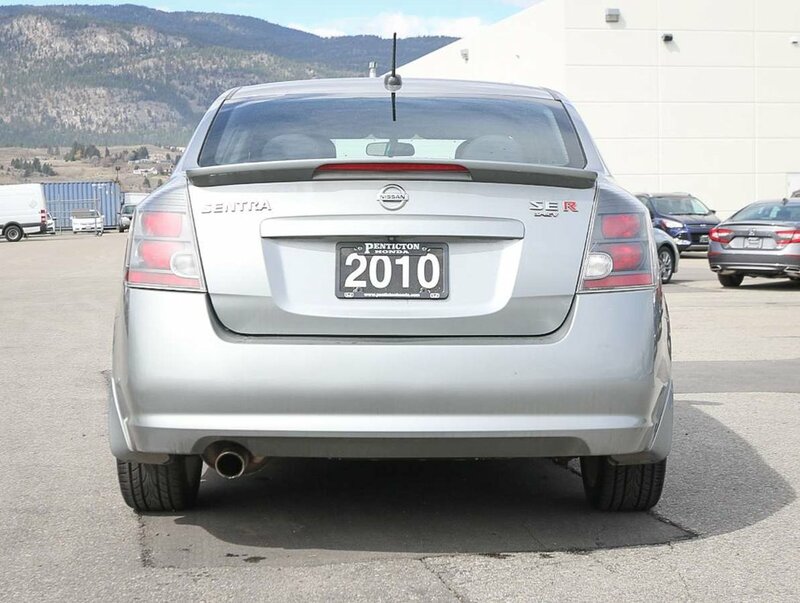 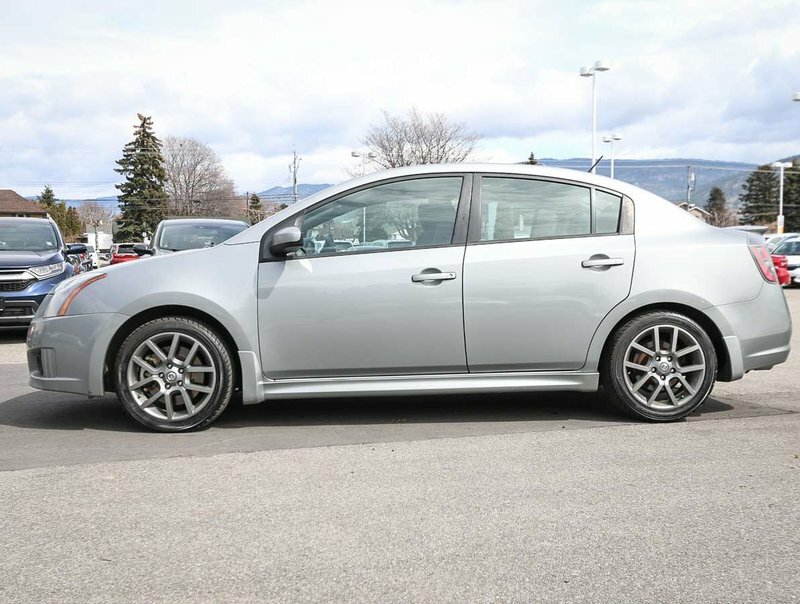 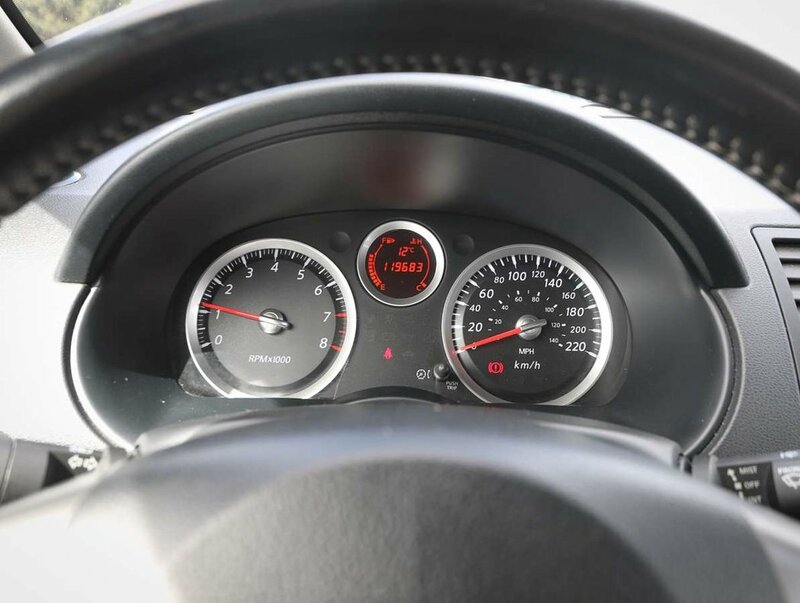 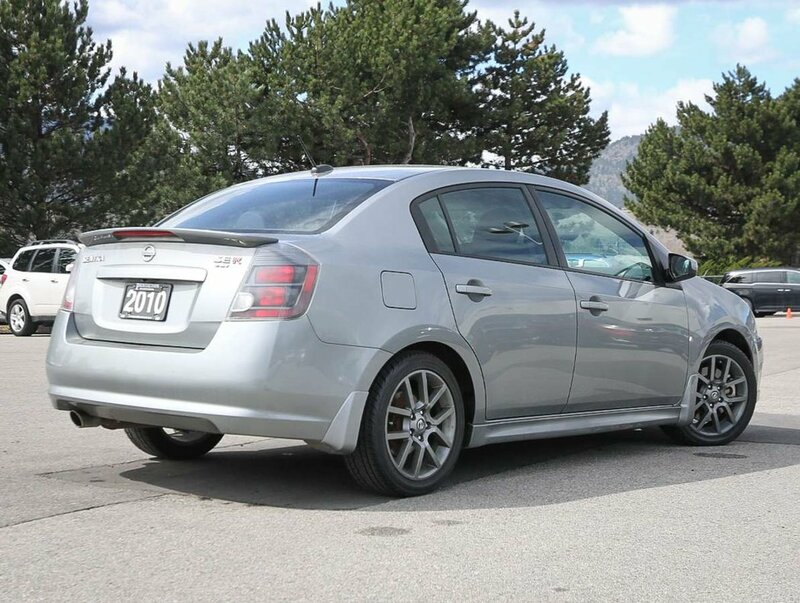 Purchased in November of 2010 on the Coast, this 2010 Nissan Sentra SE-R Spec V was recently traded in here at our dealership for a newer Honda Civic. 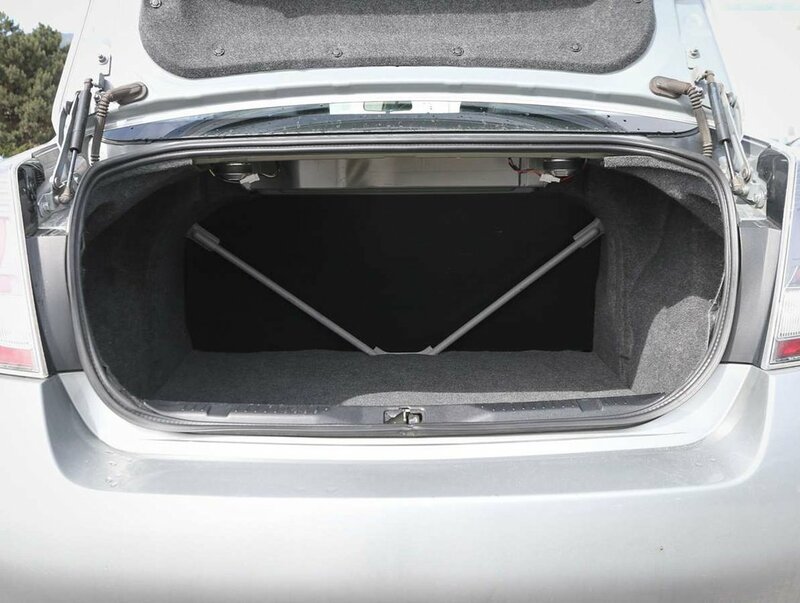 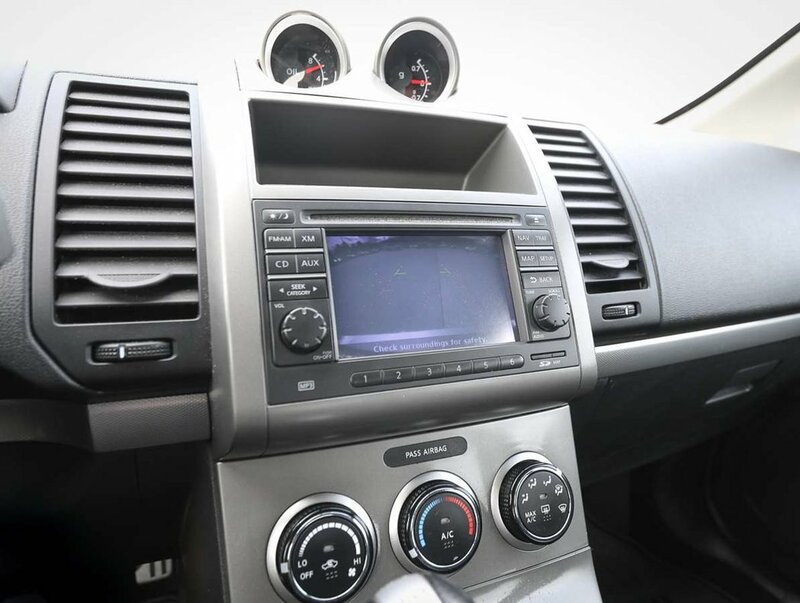 This Sentra is the top-model High Performance Spec V, equipped with splash guards, navigation, and a reverse camera. 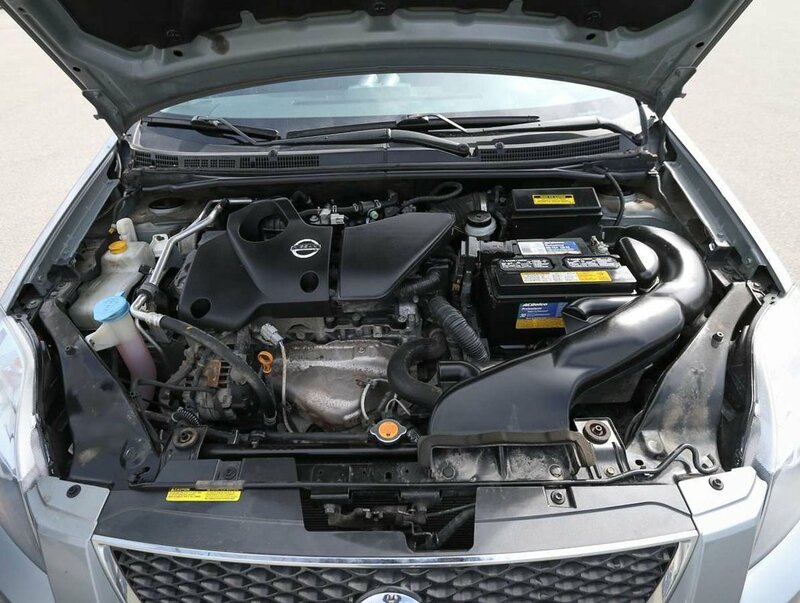 Powering this Sentra I-4 cylinder 2.5L engine that produces 200hp and 180lb-ft of torque paired with a 6-speed manual transmission. 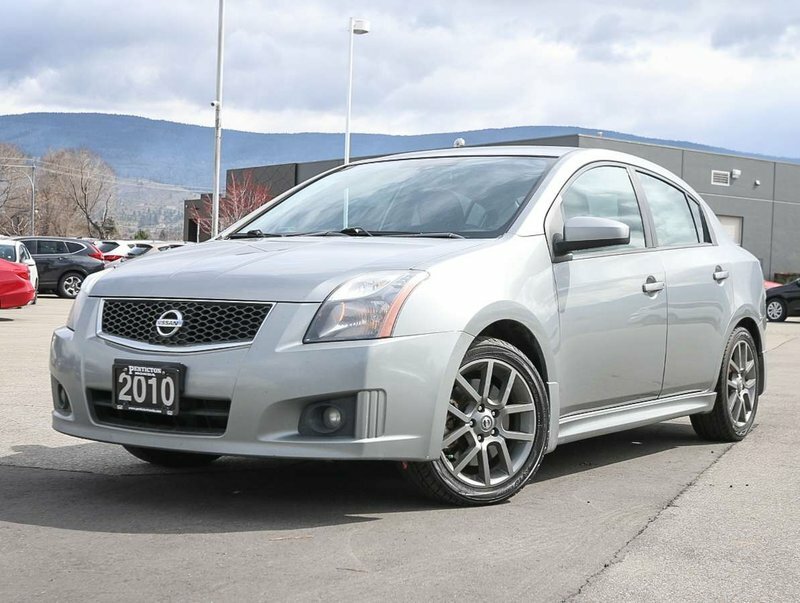 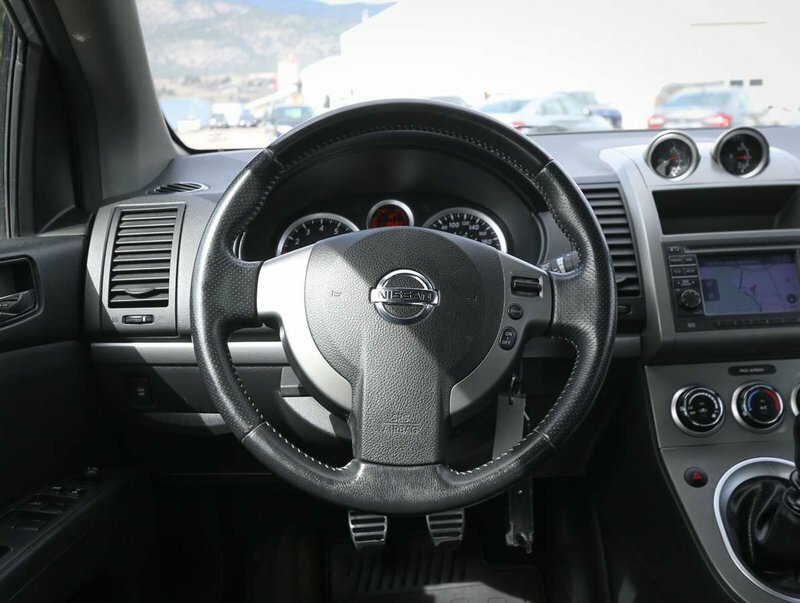 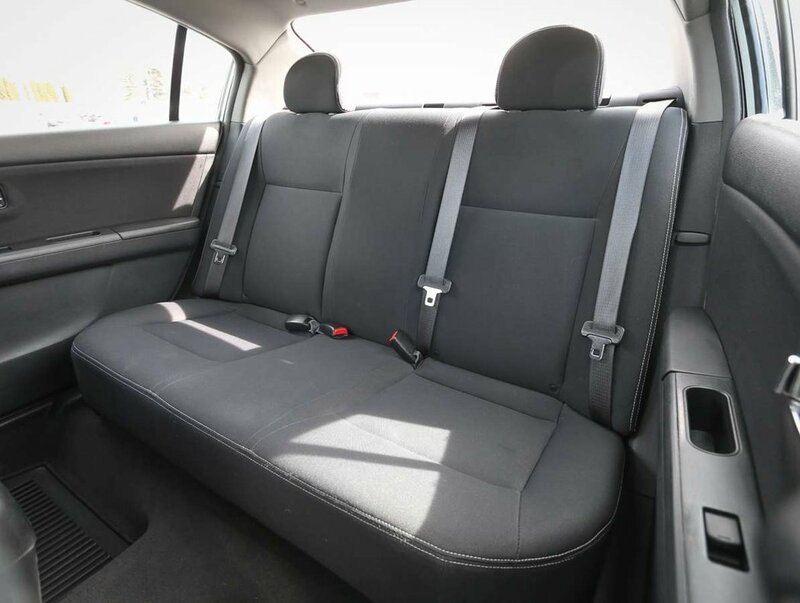 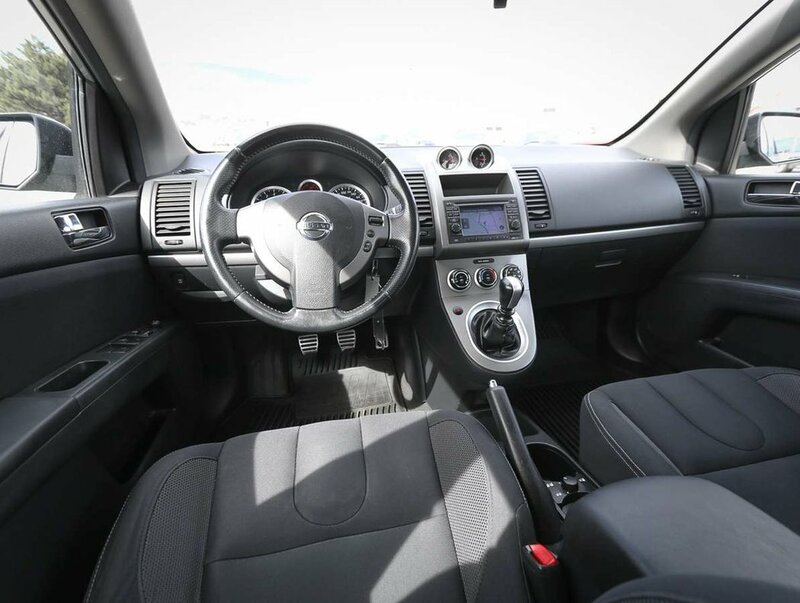 The Sentra comes in a Brilliant Silver exterior that is paired nicely with a black cloth interior. 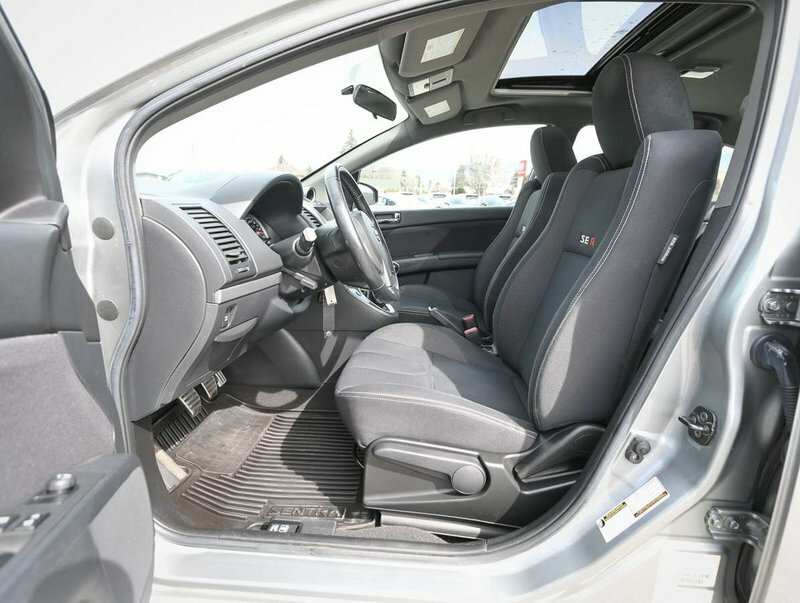 Comes with 2 keys, 2 fobs and original owner's manuals. 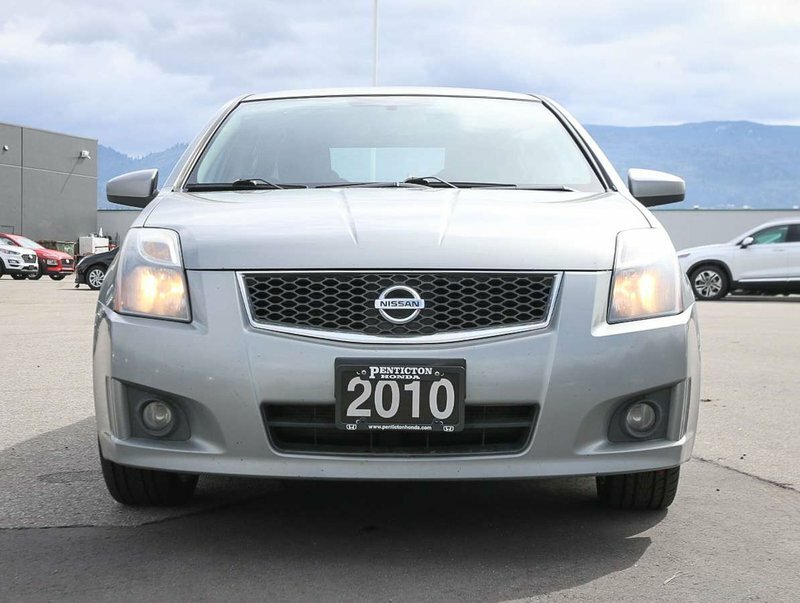 We put the Sentra through a multi-point, comprehensive used vehicle safety inspection to ensure driving quality. 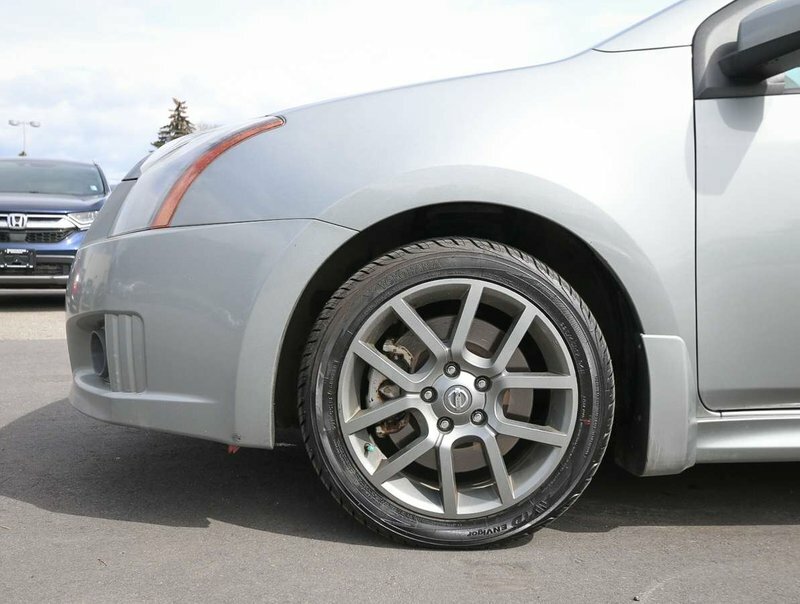 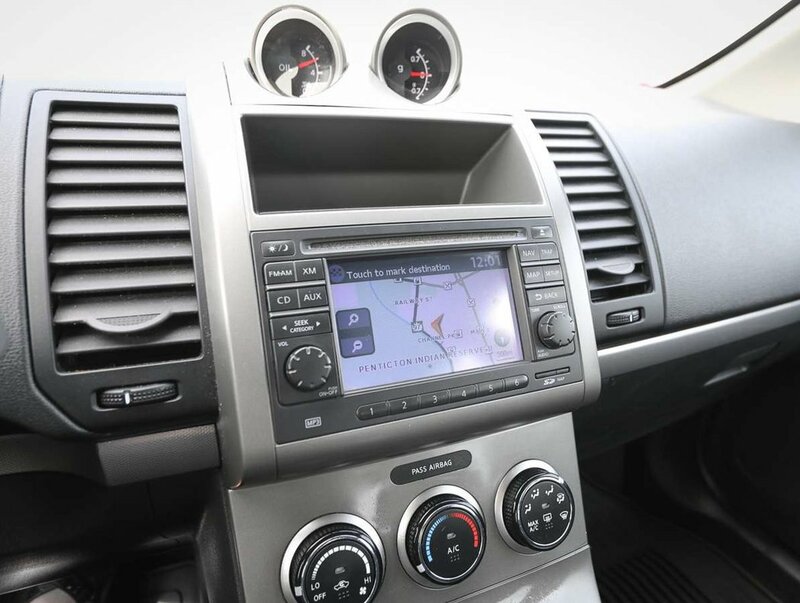 Some of the features in this top-model SE-R Spec V model include reverse camera, satellite radio, sunroof, vanity mirrors, an eight-speaker 340-watt stereo, limited-slip differential, all-weather mats, navigation, colour matched splash guards, AC, trunk-mounted V-brace, sport-tuned shocks and struts, G-force display, sport seating with red stitching and more!